Regard M.C. 9x19 Caliber Pistol - Black - A durable, reliable, and affordable striker fired polymer pistol. The GIRSAN company, also known as Yavuz16, is headquartered in the Turkish town of Giresun is one of Turkey's most prominent manufacturers of handguns. 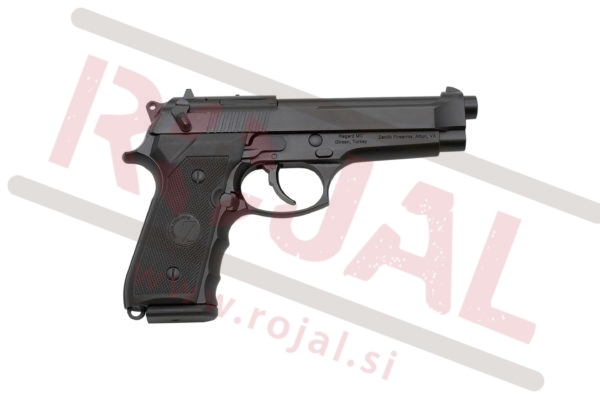 The GIRSAN name is mostly known for its line of license-made Beretta 92 pistol clones, widely available on the global civilian markets and also accepted for service within the Turkish Armed Forces. Regard M.C. semi-automatic pistol feeds through a double-stack magazine, holding up to fifteen rounds of 9x19mm caliber ammunition. Girsan guns are the first domestic staff gun used by Turkish Armed Forces and Turkish Police. 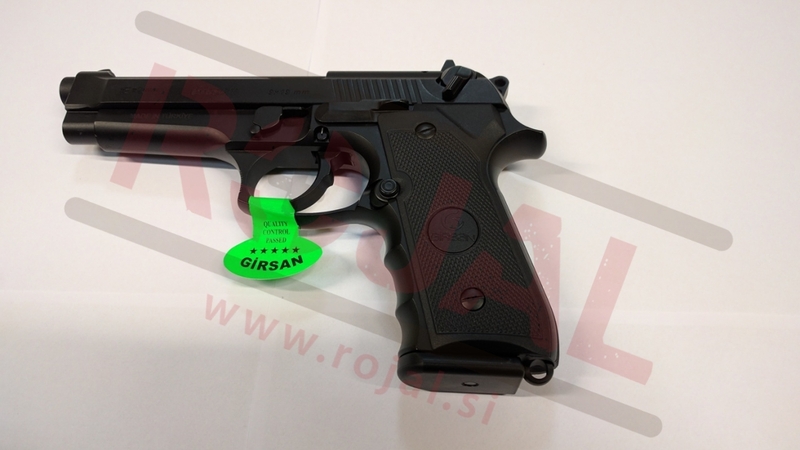 Girsan Pistols which are preferred by leading official and private institutions of Turkey, are indispensable for official establishment such as Turkish Armed Forces (Turkish Land Forces, Navy, Air Forces, and Coast Guard Command), Gendarmerie General Command, Security General Directorate, Ministry of National Defence, State Airports Administration, Ministry of Forestry as well as private companies. In the last years Girsan guns, that are used in Turkish Armed Forces and Security General Directorate constitutions frequently, have attracted deep attention abroad and acknowledged itself also in the international platform. Girsan guns have achieved to be the staff gun for the Malaysia Special Forces Command and Malaysia Security Organization, Colombian Air Forces, Georgian Police and Syrian Army.